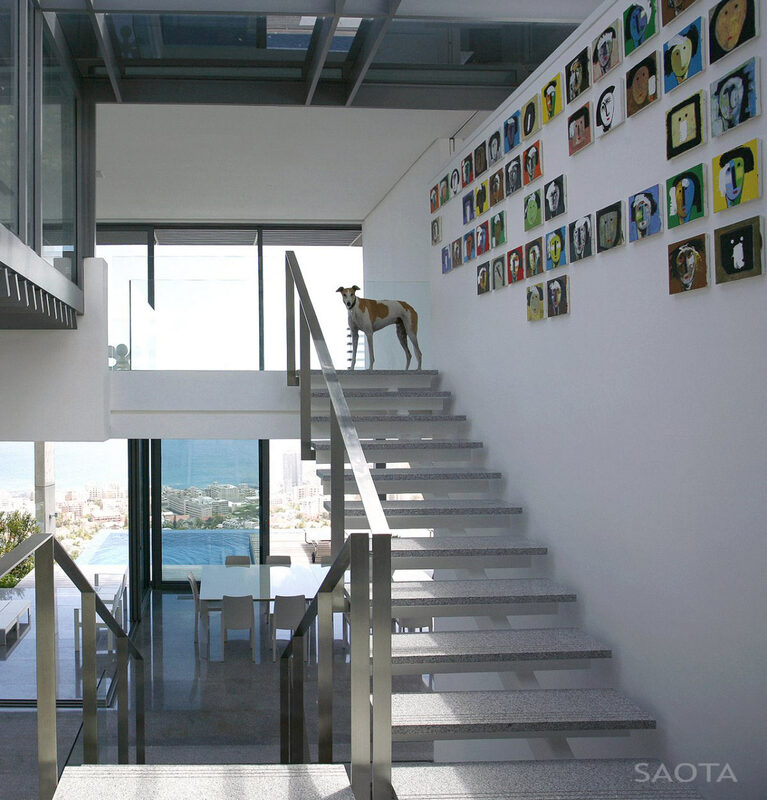 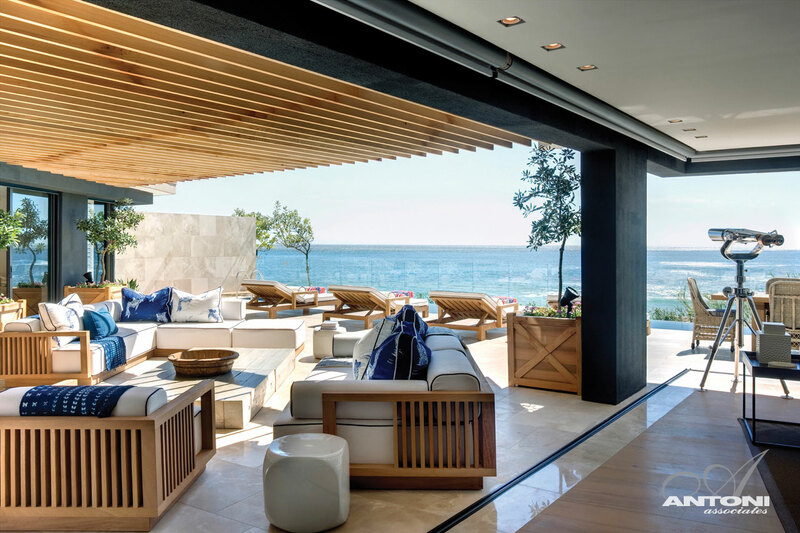 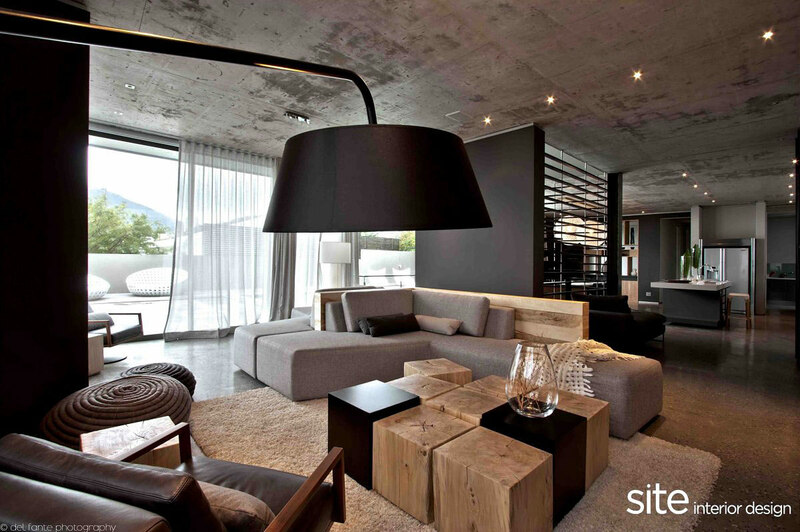 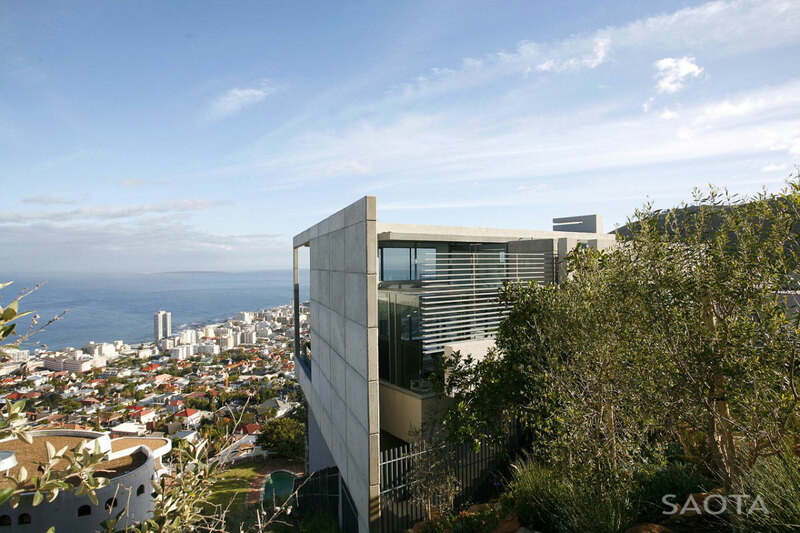 Head 1815 was completed by the Cape Town based studio Stefan Antoni Olmesdahl Truen Architects (SAOTA). 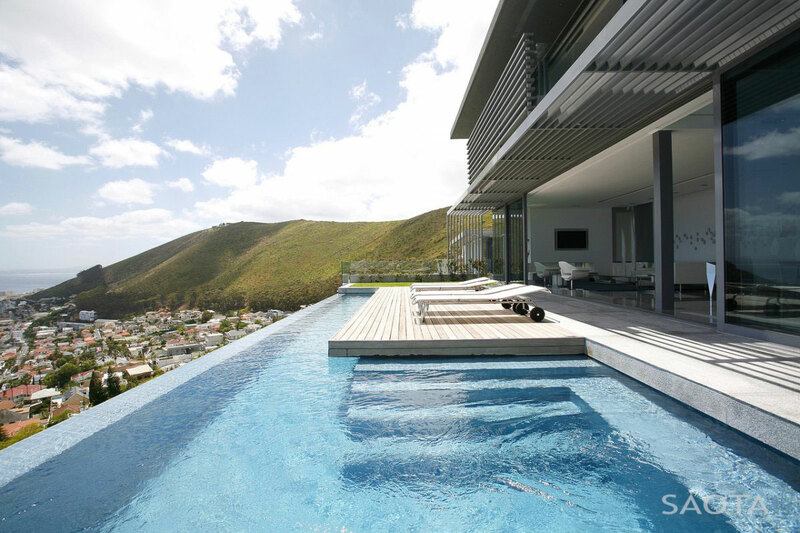 This modern residence enjoys stunning views towards the north and west over Fresnaye, located in Cape Town, South Africa. 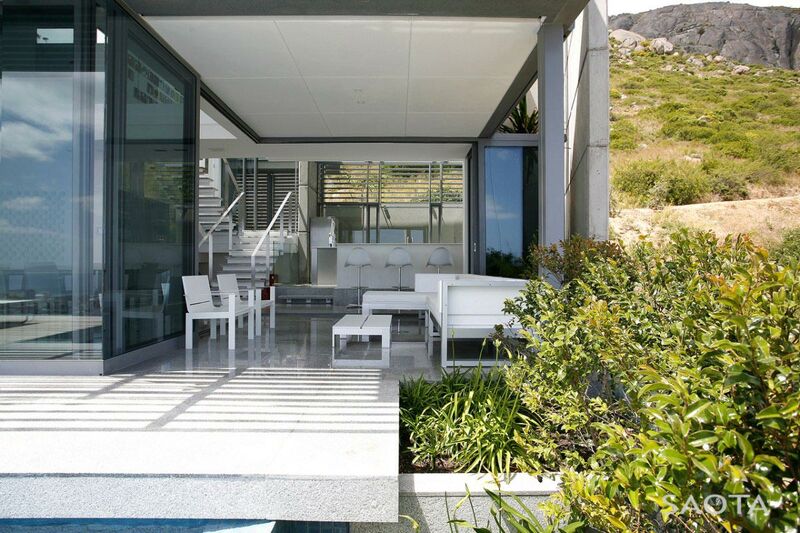 “The clients, a young couple, wanted a dynamic and striking home, primarily for themselves, with guest accommodation separated from their own living areas. 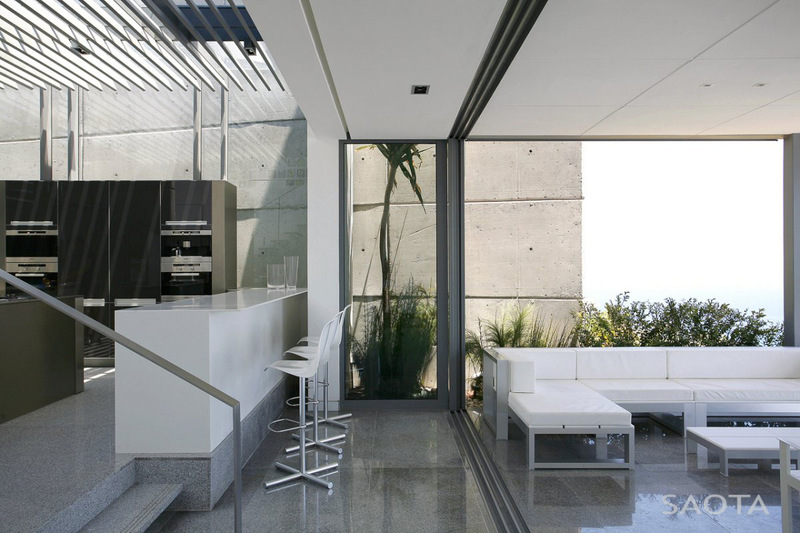 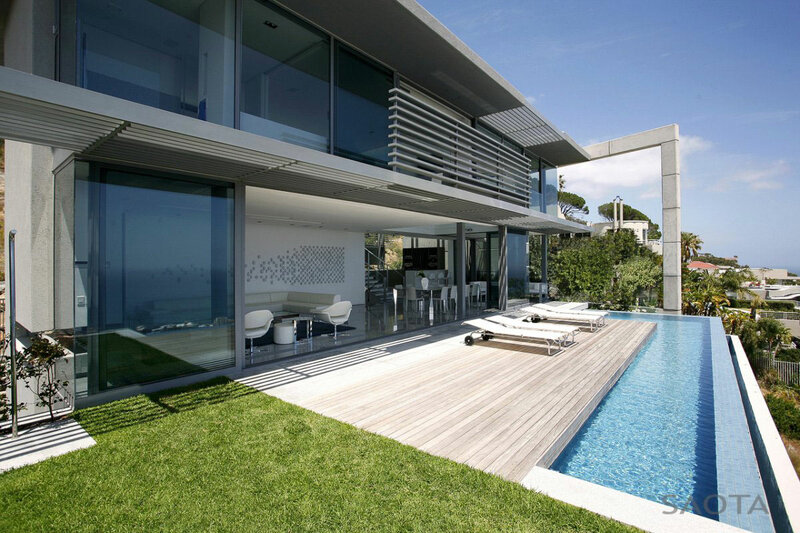 The property views towards the north and west over Fresnaye as well as at the rear of the site. 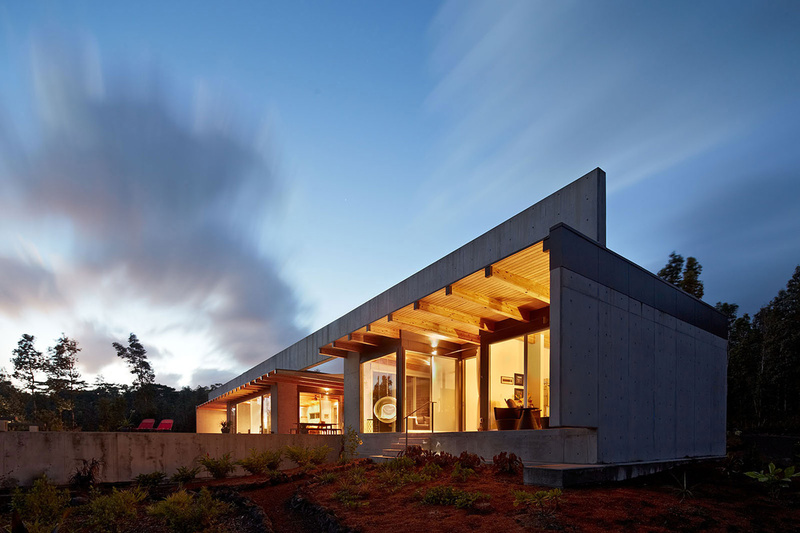 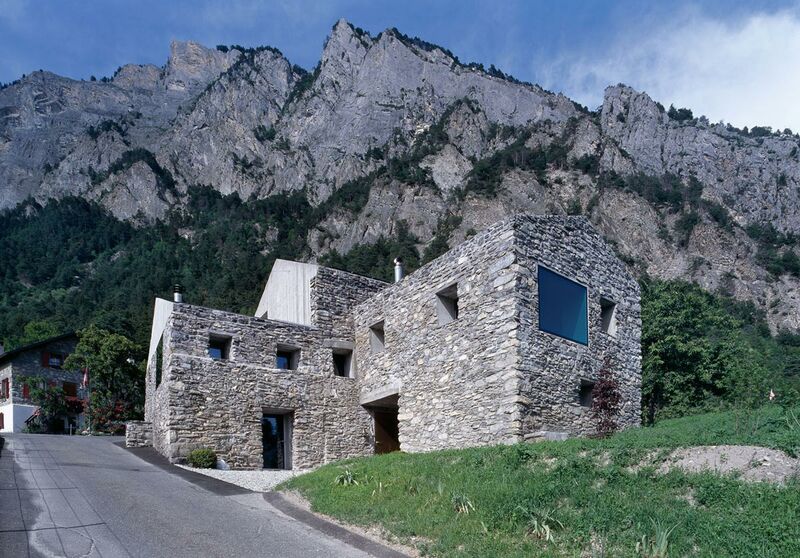 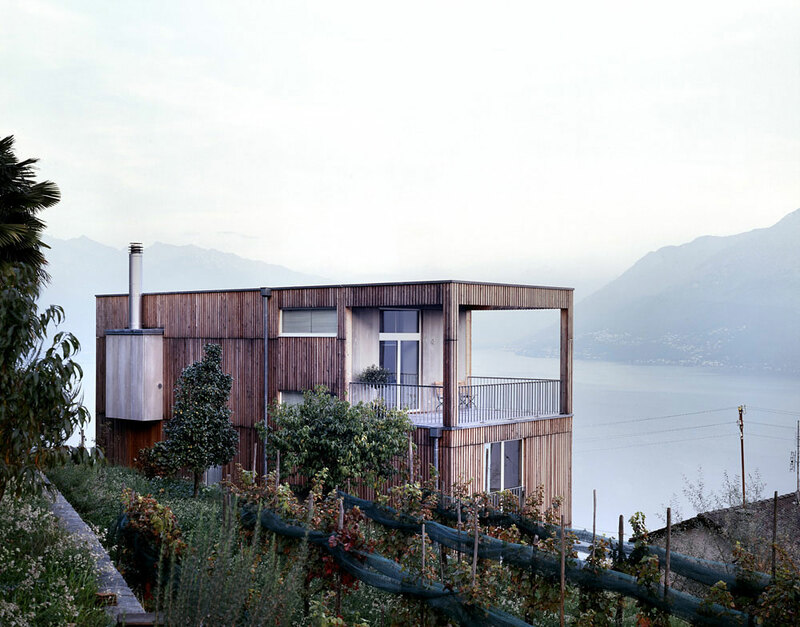 The site falls very steeply and due to the high elevation of the road and the restrictions on the building form, the house is raised above the property on high columns. 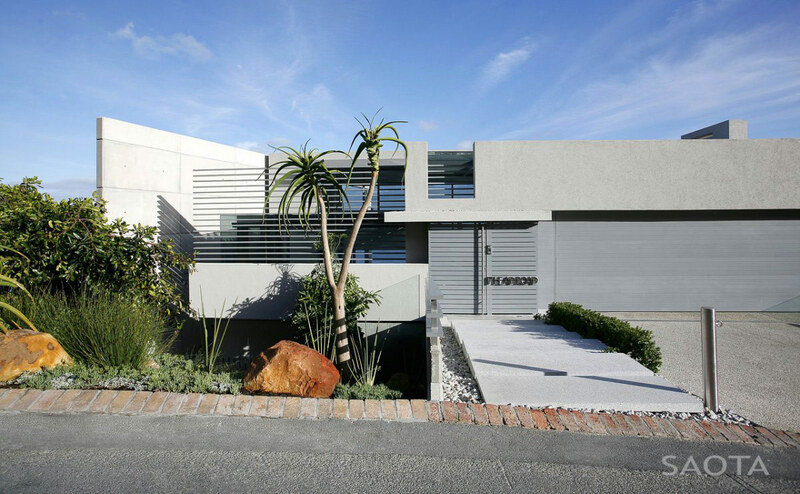 The house includes three storeys accommodating three en-suite guest suites on the ground floor, with a plant area and a staff flat at the rear. 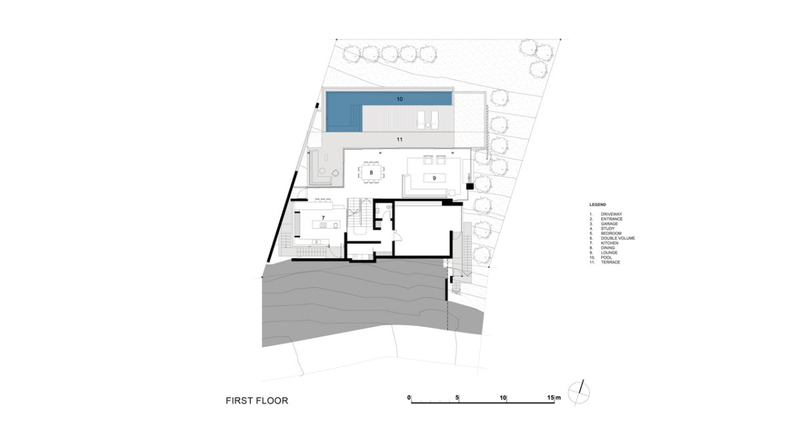 The first floor is the main living level, with a large living room and dining room opening to a covered and uncovered pool terrace. 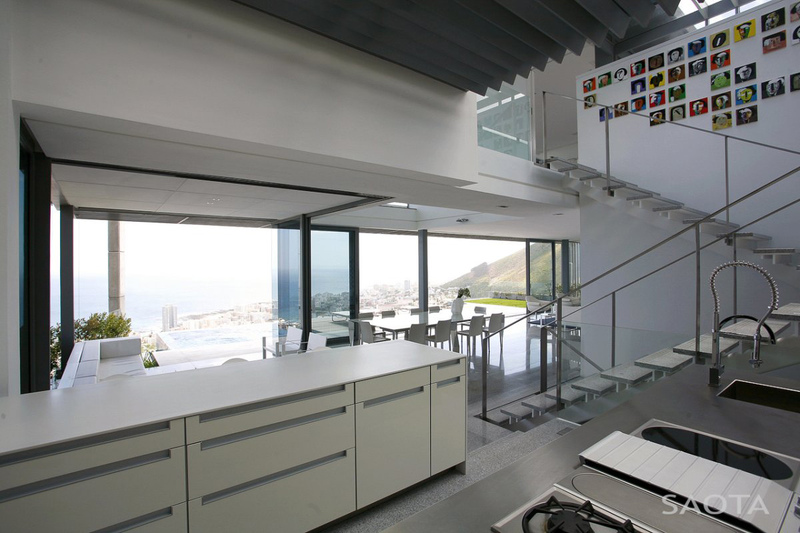 The kitchen is positioned to enjoy views through the glass roof towards Lion’s Head. 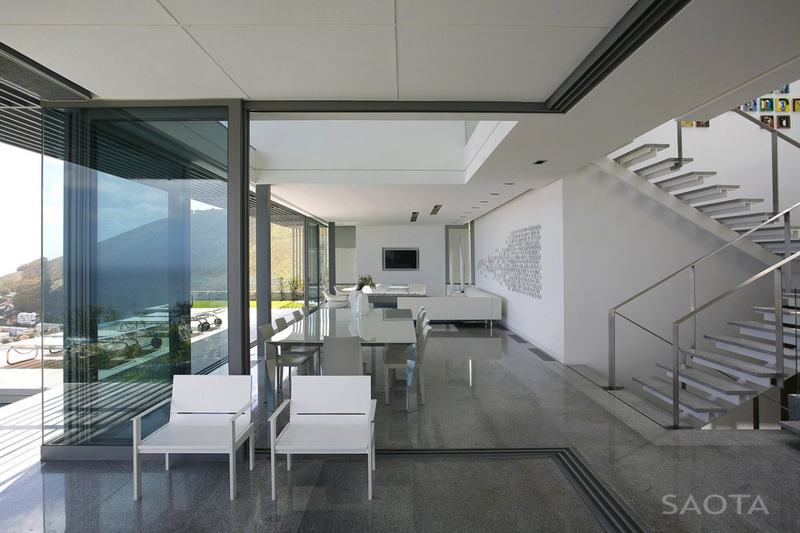 The entrance hall is accessed by gentle steps from Head Road preceded by a glass-roofed external lobby space. 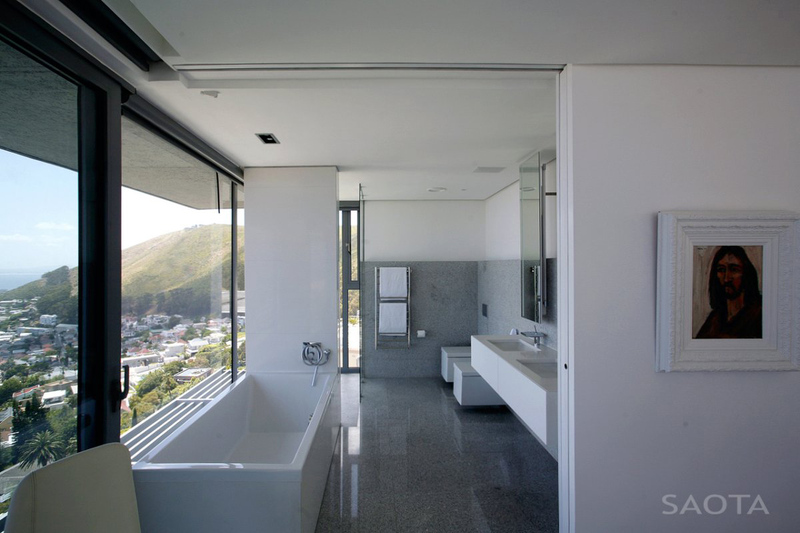 The second floor accommodates the master bedroom, dressing room and a light-filled en-suite with views over the pool below.